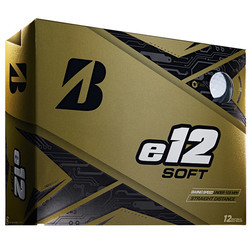 *** OUT OF STOCK UNTIL 4/1/19 *** The newly designed Extra Soft delivers superior soft feel on all shots and longer distance with a straighter ball flight. 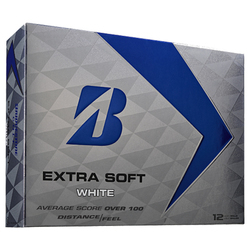 If you seek all-around performance, tee up the Extra Soft and Boom It! 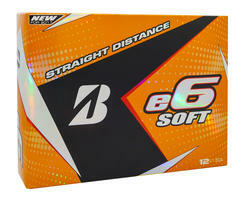 The Bridgestone e6 SOFT is a high performance ball with an incredible soft feel. It is designed to produce low driver and long iron spin for incredible STRAIGHT DISTANCE. The advance mantle and cover work in unison to provide incredible approach and greenside performance. Delta Wing Dimple- Engineered for STRAIGHT DISTANCE The construction of the e6 SOFT is combined with the new Delta Dimple. Designed to allow smoother air resistance around the ball and to resist pop ups, the Delta Dimple is designed for straight distance. Switch to the e6 SPEED and feel what it is like to gain accuracy, distance, and a decisive advantage over the competition. 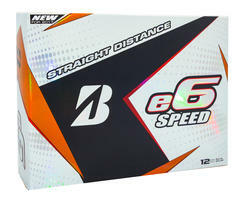 The e6 SPEED is a high-performance ball with remarkable initial velocity. The core is designed to provide faster speed and low spin off the driver for straight distance. 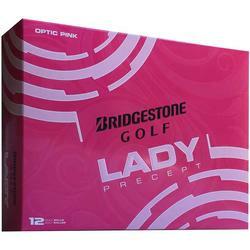 Core to cover, this multilayered ball delivers optimum performance from tee to green. 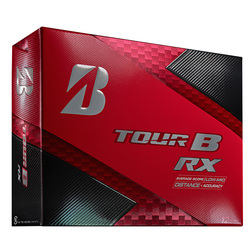 Switch to the TOUR B RX to feel what its like to gain distance, accuracy, and a decisive advantage over the competition. Distance to outperform the competition and Accuracy to help you find the fairway. 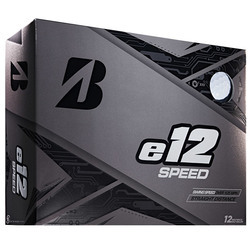 The enhanced distance of the TOUR B RX comes from increased ball speed as a result of the proprietary core construction and enhanced aerodynamics. The TOUR B RX gets accuracy as a result of lower side spin from the gradation core construction. 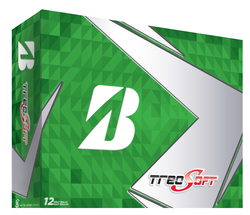 Tee through green the TOUR B RX is designed to give you confidence on the course.